I love starting a new year because everything feels possible again and it seems that everyone has an open mind (at least until they return to the office). 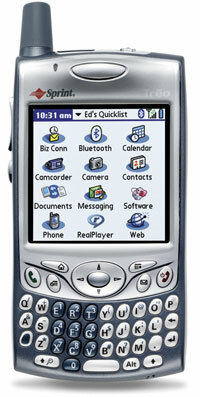 Make a decision to try someting new in 2006 with your PDA. Here’s a list of three great ideas to start you off with three more coming tomorrow. 2. Launcher – Both Palm and Windows Mobile come with a decent launcher and navigation system, but there is room for improvement. There are several great 3rd party launchers to try and one of them will be geared towards how you think and organize data. Do a search on Launcher at PalmGear or PocketGear and give them a try. For my Palm I’m going to give ZLauncher another look and WinLauncher. 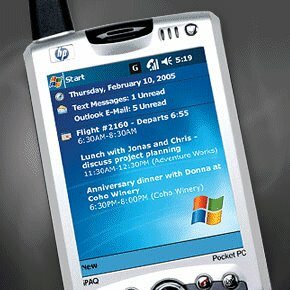 For my Windows Mobile phone I’m going to try PocketPlus and AgendaFusion. If you try one that you think is fantastic, let me know. 3. Join a Gadget Club – I belong to both SEAPUG and PSHUG. They both meet monthly and I always walk away learning something. Plus the attendees are bright and enthusiatic and want to help. You can find a local Palm Group here and a Windows Group here. If you don’t see one near you, then start one. It’s 2006, anything is possible! There’s a lot of information above and any one can significantly enhance how you use your PDA. Look for Part 2 where I discuss, News Sites, Games, and SD Cards. Send me an email or post a comment if you have an idea to add to this post.